pic: this evening’s trail run along a trail that ilg – as a boy – created and burned in via horseback and dirt motorcycle. today? my precious trail is yet another sacred local tread being trampled upon by the ever-increasing number of newcomers flooding into Durango. Life is Change. when your feeble teacher now runs along trails like this one? tis a PERFECT TEACHING/TESTING of a yogi’s ability/capacity to LET GO of the past and adapt to – if not enjoy – the present! Genuine yogi’s run or do things that c(om)press their tissues. False yogis stay away from sports/disciplines that tend to stiffen their joints, connective tissues, and muscles because they are addicted to fluid movement without joint tension. well? feeble ilg hates to tell all those super supple yoga teachers who do NOT run or strength train or otherwise c(om)press their overly lax musculature? 1) Tissue c(om)pression is vital…it’s why we Two Legged’s rose HIGHER fr(om) the Four-Legged Clan. 2) Ancient yoga students were instructed to Take Pilgrimages to see their Guru/Teacher often over 100k’s away and up ardous mountain paths and had to pack their needs upon barefoot soles. that’s wholistic. that is being a strong, enduring, capable yogi. that is why, former paralyzed and ultra feeble yogi ilg STILL forces himself to RUN upon neurally seared and broken bones. 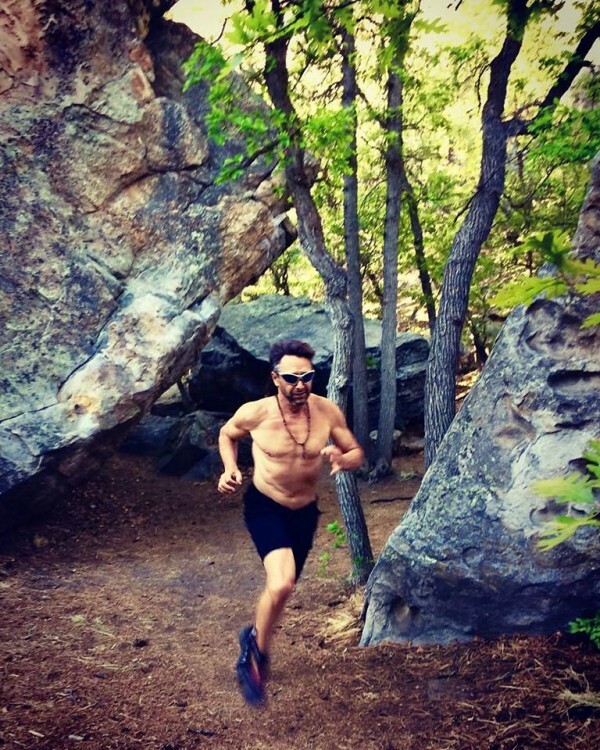 Evening run on my boyhood trail fashioned from Horseback and Dirt Motorcycle…now another Durango most popular tread twining ‘tween sandstone boulders, Gambel Oak, and Pondies… #ilgswholisticfitness #sacredsweat #outsideyogis #bodyhealthoptimized_athlete #tailwindnutrition #cryomedspadurango #getoutside #trails2000 #sailinghawksdurango — in Durango, Colorado.